This post has been updated from the archives. It was originally published in July of 2012. The text of the post is unchanged, but the photos have been retaken and the recipe rewritten. Mexican food is kind of a staple meal in our house. We are all always in the mood for it and I almost always have leftovers. I love this meal for it’s versatility. Not in the mood for tacos, make it a burrito instead. If you have little kids who sometimes have a hard time holding their taco or burrito the correct way (note to self, post pictures of Eden trying to correctly hold a taco) turn this meal into Lime Chicken Quesadillas! Either way, the flavor is delicious and if it saves you some time in the kitchen so that you can take a family walk or paint your fingernails, then I think that’s a meal worth making. 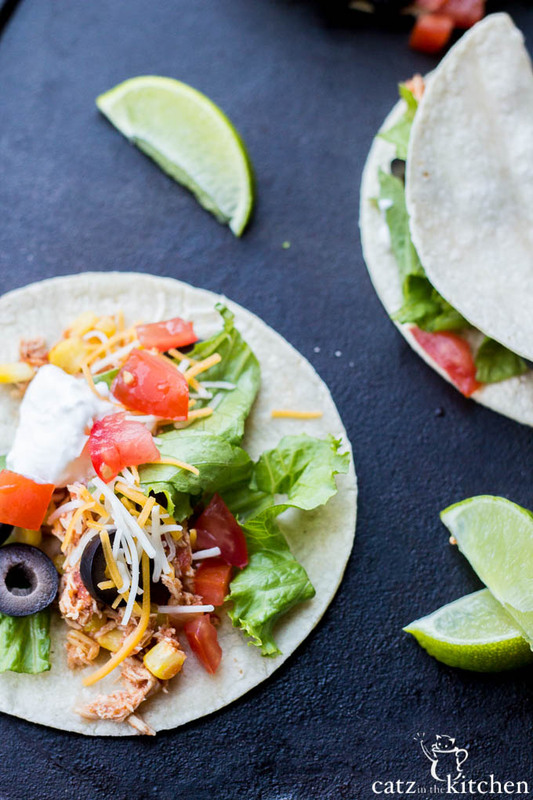 Looking for the simplest, easiest way to get healthy homemade tacos on the table without browning up some beef? 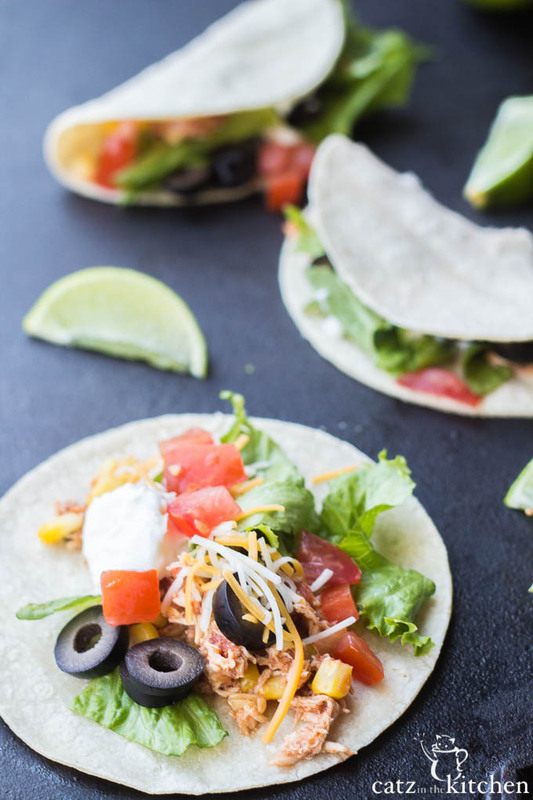 Try this easy recipe for slow cooker lime chicken tacos! Place chicken in crockpot. Combine lime juice and chili powder; pour over chicken. Cover and cook on low for 5-6 hours, or until chicken is tender. Remove chicken; cool slightly. Shred and return to crockpot. Stir in corn and salsa. Cover and cook on low for 30 minutes, until heated through. 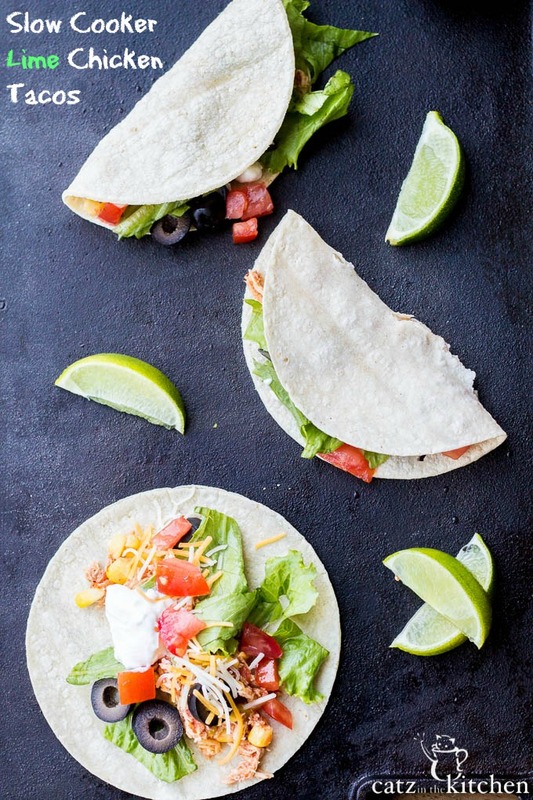 Serve in tortillas with sour cream, cheese, and lettuce. If gluten is not an issue, flour tortillas also work well for this recipe. Using this same filling (leftovers? ), you can make tasty quesadillas and burritos as well! I love recipes that are so versatile. Gotta try this one!